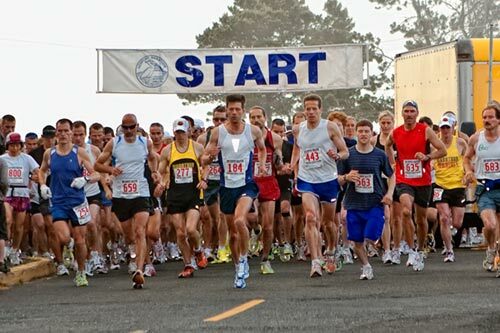 (Newport, Oregon) – On June 2, some 3,000 people will descend on the central Oregon coast town of Newport – with about 1,000 of them at a steady run. This is the day of of Newport for Oregon's largest-yet-unknown sports event: the 20th annual Newport Marathon and Half Marathon. 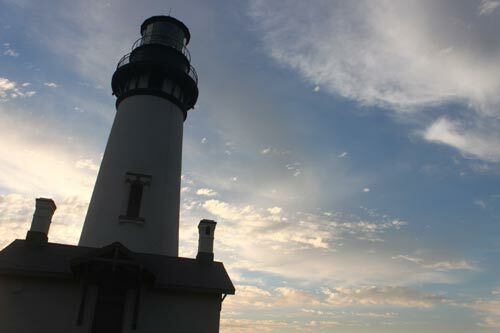 It brings over 1,000 runners walkers to town and another 2,000 fans, spread over miles of a coastline course that includes the “haunted lighthouse” at Yaquina Bay, through fields, picturesque neighborhoods and along the working fishing village of the Bayfront district. This year's event features 600 runners for the full marathon and a little over 500 for the half marathon. There's also a special category for walkers. Aside from being a major attraction and sports event, it's a benefit for the Newport Boosters Club, where proceeds go to the club's help with sports and other activities at Newport High School. 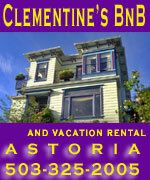 It's also a nice boost to the local tourism economy when summer hasn't quite kicked in yet. Special shuttles will be provided for the crowds to take them to various areas of the race. The road along Yaquina Bay will be closed until 1 p.m. to allow even safer access for spectators. At the finish line – the Yacht Club on the Bayfront – awaits beer, chowder, t-shirts and even a live band for watchers and participants. As always, traffic in one area will be affected the day of the event. “The course will be the same and people will need to be aware that the eastbound lane of Bay Road will be closed from 7 a.m. to 1 p.m. on June 2,” said organizer Tom Swinford. Walkers begin at 6 a.m. 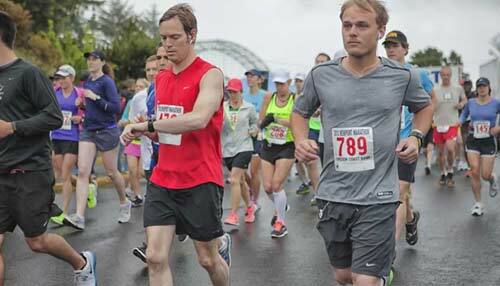 Runners begin at 7 a.m. at Yaquina Bay State Park. The Half Marathon starts at 7:45 a.m. Awards will be presented at 11 a.m. for the half marathon and 2:30 p.m. for the full marathon at the Yaquina Bay Yacht Club. 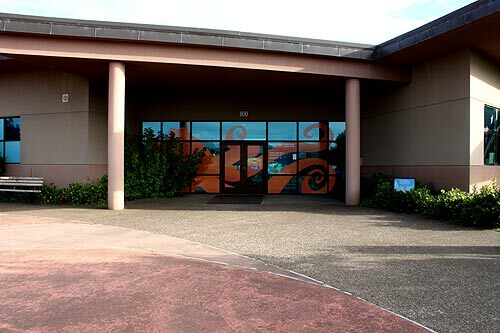 (750 SE Bay Blvd, on the Bayfront). The course is USATF certified and numerous runners have used it to qualify for the Boston Marathon. 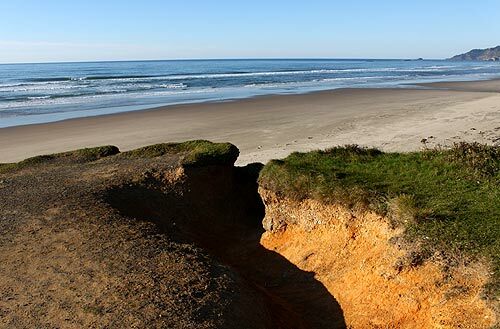 Along the route, runners – and thus watchers – catch resplendent glimpses of this central Oregon coast town, its beaches, shops, its fishing industry and even an oyster farm. 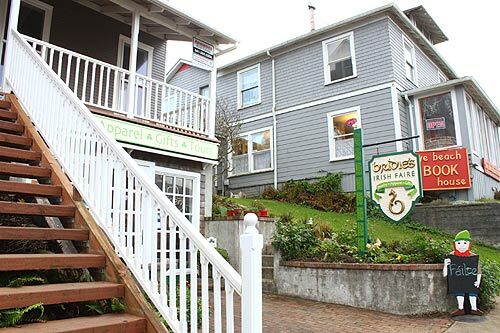 The course is mostly flat, with a few minor inclines along the neighborhoods and to the east of Yaquina Bay. In the first few years of the run, registration ended up closing within a month or two, with the event reaching its maximum of 1,000 runners. These days, it's the crowds that keep growing. Swinford estimates each runner brings about two supporters.